This state-of-the-art handbook will keep researchers and practitioners in gerontology abreast of the newest theories and models of aging. With virtually all new contributors and content, this edition contains 35 chapters by the most highly respected luminaries in the field. It addresses theories and concepts built on cumulative knowledge in four disciplinary areas√≥biology, psychology, social sciences, and policy and practice√≥as well as landmark advances in trans-disciplinary science. 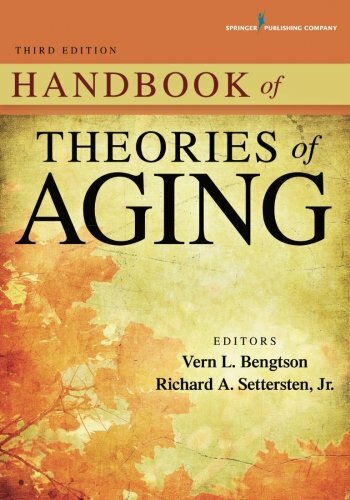 With its explicit focus on theory, the handbook is unique in providing essential knowledge about primary explanations for aging, spanning from cells to societies. The chapters in the third edition place a strong emphasis on the future of theory development, assessing the current state of theories and providing a roadmap for how theory can shape research, and vice versa, in years to come. Many chapters also address connections between theories and policy or practice. Each set of authors has been asked to consider how theories in their area address matters of diversity and inequalities in aging, and how theories might be revised or tested with these matters in mind. The third edition also contains a new section, “Standing on the Shoulders of Giants,” which includes personal essays by senior gerontologists who share their perspectives on the history of ideas in their fields, and on their experiences with the process and prospects of developing good theory. This entry was posted in stem cell book and tagged Aging, Edition, Handbook, Theories, Third. Bookmark the permalink.